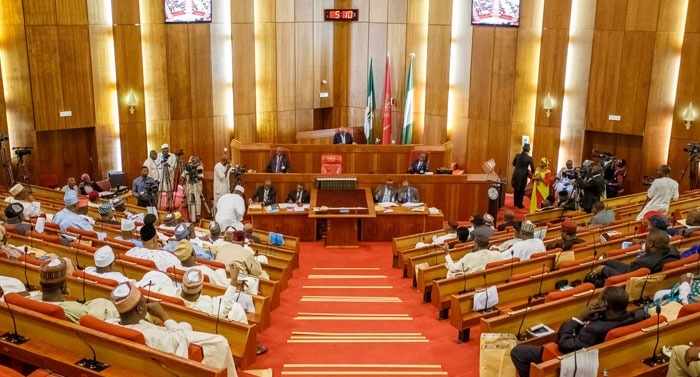 The senate moved a motion for its suspension on Tuesday and said a committee will be set up to investigate the movement of money in and out of the account and identify any infractions. First, let’s begin with what the Excess Crude Account means. It is a rainy-day fund that is supposed to take money from oil sold over and above the finance ministry’s benchmark price and can be used to plug emergency gaps in spending. For instance, on Tuesday, President Buhari presented the 2018 budget which showed that the benchmark for oil price was $45 per barrel. Now, as oil price is rising, any money realized from selling crude above the $45 benchmark is supposed to be saved in the Excess Crude Account, ECA. But Nigeria’s lawmakers are saying they want it suspended or even completely abolished. Their reason? Well, the senators are saying it is a violation of the constitution. The ECA as of September 2017 held $2.31 billion. The senate is not the first to make this call. Various branches of Nigeria’s government have called for an end to the ECA for years, and a case has been debated in the supreme court at least since 2012. There are disputes about who should control the ECA money, and state governors often argue that the federal government is hiding the money and should distribute more to them. But so far there has been no resolution.